• Compact 17-4 stainless steel head with a more forward hosel and less bulge and roll than a traditional hybrid. • The offset is engineered for high launch, while the reduced bulge and roll enhances shot making and control. 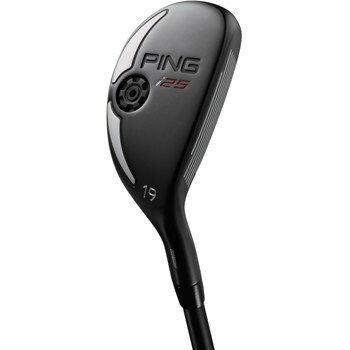 • A straighter lead edge and more squared-off toe promote accurate aim and alignment. • A compact profile and short heel to toe length improve turf interaction and ensure solid contact from a variety of lies. • The CG is farther back in the low lofted hybrids to produce a higher launch, and the higher lofted heads have a lower forward CG to reduce spin.